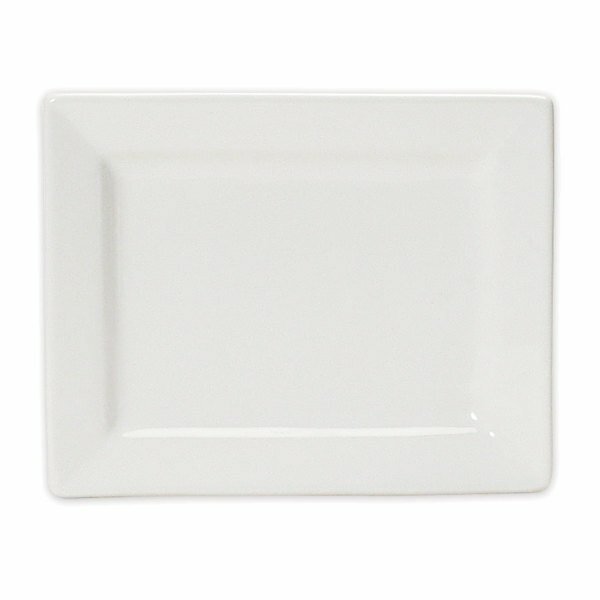 This Tuxton BWH-0703 white rectangular china plate has a modern feel and look and will enhance your tabletop. 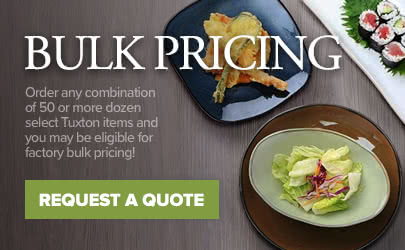 Whether you need to add a sleek look to your entree presentation at a restaurant, or need to quickly serve up a meal in a healthcare facility, this dish is perfect for long-lasting use. 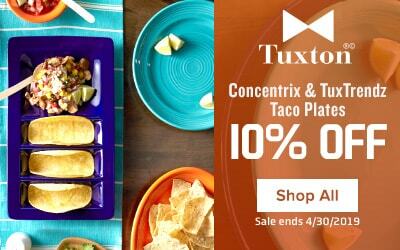 Plus, this plate's rectangular form and wide rim bring a classic look to your casual or elegant table settings. Its refined porcelain white coloring also creates the perfect backdrop for your delectable lunch entrees or signature salads. The white color also helps your colorful food creations pop for a dynamic display! Made of strong china, this durable piece stands up against breakage, chipping, and scratches that are commonly caused by the wear and tear of everyday use. 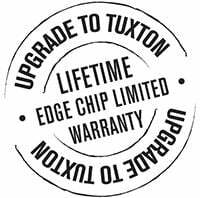 It's also fully vitrified to prevent moisture absorption and covered by Tuxton's lifetime edge chip warranty for quality assurance. Perfect for restaurants, cafes, and bistros, this DuraTux piece's simple yet stylish look is sure to elevate your dining presentation applications.